We wanted to wish you a Merry Christmas and Happy New Year. See you in 2016! We hope everyone is ready for a wonderful Christmas break!. Merry Christmas and Happy New Year! We are all looking forward to the second half of our school year. We are excited to teach your children! In honor of the holidays, please know that our administration, faculty and staff might not respond to e-mails from December 18, 2015 through January 4, 2016. Thank you for your understanding. Mark your calendars now for parent teacher conferences and registration on Thursday, February 11, 2016 4:00pm – 8:00pm and February 12, 8:00am – 12:00pm. – Dress of Choice/ NO FEE. Students are allowed to dress in Christmas colors/attire or wear an Ugly Sweater as a Christmas gift from our Administration Staff. – Elementary Roar Assembly 8:30am in the gymnasium. – Elementary Christmas Class Parties 2:00pm – 3:00pm. Friday, December 18, 2015 through January 1, 2016 Christmas & New Years Break! – Nerf Night 6:00pm to 8:00pm in Legacy Academy gymnasium! We are raising funds for our Character Education Program. This should an excellent time for families. Students must be seven and up. The cost is $10.00 per person. Students may not bring their blasters to school during school hours. Bring your own blaster and eyewear. Do not bring ammunition, ammunition and limited protective eyewear is provided. Parents are encouraged to stay and play too! If any questions, please email labod@legacyk8.org. Parents will be required to sign a waiver prior to their student participating in this event. No exceptions will be made. The waiver will be available at the office or at the event. – PTCO General Meeting 5:30pm in Mr. Parish’s room. – LA Governing Board Meeting at 6:30pm Library. – Silver Spoon Award 2:00pm in the cafeteria. – Middle School Honor Roll Dessert Bar at 2:30pm in the cafeteria. – School Tour 6:00pm in the Mac Lab. If you have any friends or family interested in our school please let them know about our tour. Friday, January 15 ~ No School/Teacher In-Service. Monday, January 18 ~ No school/ Martin Luther King Day. – Fifth Grade field trip to the Stock Show. – Preschool Tech Time 8:30am-9:15am in Mrs. Murch’s classroom. -Nerf Night 6:00pm to 8:00pm in Legacy Academy gymnasium! We are raising funds for our Character Education Program. This should an excellent time for families. Students must be seven and up. The cost is $10.00 per person. Students may not bring their blasters to school during school hours. Bring your own blaster and eyewear. Do not bring ammunition, ammunition and limited protective eyewear is provided. Parents are encouraged to stay and play too! If any questions, please email labod@legacyk8.org. Parents will be required to sign a waiver prior to their student participating in this event. No exceptions will be made. The waiver will be available at the office or at the event. – National School of Choice! National School Choice Week provides an unprecedented opportunity every January to shine a positive spotlight on the need for effective education options for all children. Independently planned by a diverse and growing coalition of individuals, schools, and organizations, National School Choice Week features thousands of unique events and activities across the country. The Week allows participants to advance their own messages of educational opportunity, while uniting with like-minded groups and individuals across the country. Participants in National School Choice believe that parents should be empowered to choose the best educational environments for their children. Supporters plan events that highlight a variety of school choice options — from traditional public schools to public charter schools, magnet schools, private schools, online learning, and homeschooling. National School Choice Week is a nonpartisan, nonpolitical public awareness effort. We welcome all Americans to get involved and have their voices heard! Girls on the Run is looking for coaches at Legacy Academy! Practices are Mon/Wed 3:30-5pm beginning March 7 thru May 18th. Get up, get out, and come prepare a group of girls for a lifetime of self-respect and healthy living. In between the high fives and piggyback rides, these girls will look up to you as a model of what it means to live confidently. You’ve got it. Help them get it too. 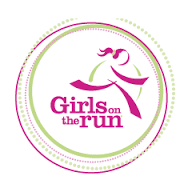 Girls on the Run Rockies, 15101 E Iliff Ave Suite 200, Aurora, CO 80014 (720)879-2354, www.girlsontherunrockies.org. The Legacy Spelling Bee was conducted last Tuesday, December 8. The champion was Jake Ledesma from 4th grade. The second, third, and fourth place finishers were Alex Martinez (4th), Taryn Crookshanks (5th), and Cody Bell (5th), respectively. All four students will advance to the Elizabeth C-1 District Bee to be held Thursday, January 14, in the EHS Cafetorium at 4:00pm. Ella Hedman (5th) will be the alternate. Good job spellers! I want to thank you for choosing to be a part of the Legacy Academy family. Our staff greatly appreciates the ongoing support that we receive from our parents, and we are honored to continue serving in our local community as a school of choice. As we come to the end of 2015 and look towards the start of 2016, we ask that you consider Legacy Academy as one of the charitable organizations that you support. The unique educational environment that Legacy provides comes at a cost. Legacy Academy functions with approximately 3% less funding than the surrounding schools, and we are asking for your help to allow us to continue to fulfill our mission and vision. The school relies on state funding to exist, but it needs the additional support of parents and community members to thrive. Will you partner with the school through a tax-deductible year-end gift? If you are willing to contribute to assist with Legacy’s ongoing financial needs, you can do so through an online donation at https://cash.me/$LegacyAcademy (please type “2015 fund drive” in the ‘optional note’ field). You may also mail a donation to us, or feel free to bring your gift to the school office in person. Thank you for choosing Legacy Academy and for taking the time to read about our year-end fund drive. We are grateful for your ongoing support for the school. Any amount that you are able to contribute will be helpful and appreciated. If you wish to receive more information about this initiative, please feel free to contact me (kurt.naber@legacyk8.org). Parents may pick up the CMAS and PARC test results for last years 3rd thru 8th grade students on December 11th at the front desk. As we finish up 2015, we would like you to take a little time and think about a very important subject; serving on the Legacy Academy Board of Directors. Have you ever wondered who makes the decisions on what uniforms should look like? Who makes the decision on the fees we all pay as parents? Why does school start on this day or end on that day? Who wrote the vision and mission statements? And, who’s making sure that the money that Legacy has and receives is being spent in a responsible manner? These are all responsibilities of the board of directors and this school cannot exist without them. So please, take some time this holiday season and thoughtfully consider being a part of this vital body. The board elections will take place in April of 2016. Nerf Night has been such a HUGE success!! Thank you to all of you who have come out and supported our school. We have been able to fully fund the Character Education Program from the first few nights! There are additional projects that the school needs such as a new sound system. Come join in the FUN while we raise FUNDS! If you haven’t been able to come play yet, don’t worry! You still have an opportunity to join in! The next dates are January 8, and 22 (weather permitting). We’d love to have everyone out to play and remember it’s open to the whole community so invite all your friends. It’s only $10 per person for 2 hours. The adults have had just as much fun playing as the kids! We Can’t Wait To Have Everyone Join Us! The 2015 Spelling Bee will be held this Tuesday, December 8, at 3:45pm in the cafeteria. Please plan on attending and cheering on some of Legacy’s best spellers. Hey Legacy, save the date April 22, 2016 for our Community Carnival. More information to come. If you’re interested in volunteering, contact Kathy Smith at kathysmith@legacyk8.org.